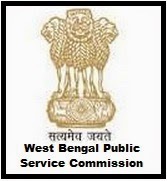 WBPSC Recruitment 2018 – 156 Veterinary Officer Posts :- West Bengal Public Service Commission (WBPSC) has published latest notification for filling up 156 posts of Veterinary Officer. Desirous & eligible candidates can apply online from 19/03/2018 to 09/04/2018. Age Limit: Not more than 36 years on 01/01/2018. Educational Qualification: Degree in Veterinary Science and Animal Husbandry (B. V. Sc. & A.H.) or Veterinary Science (B.V. Sc.) from a recognized University/Institute. Registration with a Veterinary Council established under any statute of the State govern ment or the Government of India. Application Fee :Rs.210/- (Rupees two hundred ten) only. SC/ST candidates of West Bengal and Persons with disabilities (PWD) having physical disability of 40% and above are not required to pay any fee . Starting Date of Online Application : 19/03/2018. Application Procedure : Eligible candidates can apply online through the website http://www.pscwbonline.gov.in from 19/03/2018 to 09/04/2018. West Bengal Public Service Commission (WBPSC) has published latest notification for filling up 28 posts of Junior Civilian Finger Print Expert. Desirous & eligible candidates can apply online from 12/03/2018 to 03/04/2018. Age Limit: 21 to 36 years 01/01/2018. Educational Qualification: Graduate in Science of any recognized University of India having with Basic Knowledge in Computer. Application Fee :Rs.160/- (Rupees one hundred sixty) only. SC/ST candidates of West Bengal and Persons with disabilities (PWD) having physical disability of 40% and above are not required to pay any fee . Starting Date of Online Application : 12/03/2018. Application Procedure : Eligible candidates can apply online through the website http://www.pscwbonline.gov.in from 12/03/2018 to 03/04/2018. Age Limit: 18 to 39 years 01/01/2018. Educational Qualification: Madhyamik examination or its equivalent examination from a recognized Board or Council. Diploma in automobile or Mechanical Engineering from a recognized Institution duly approved by AICTE/WBSCTE or its equivalent. Starting Date of Online Application : 27/02/2018. Subscribe our free job alert mail for WBPSC Recruitment 2018.